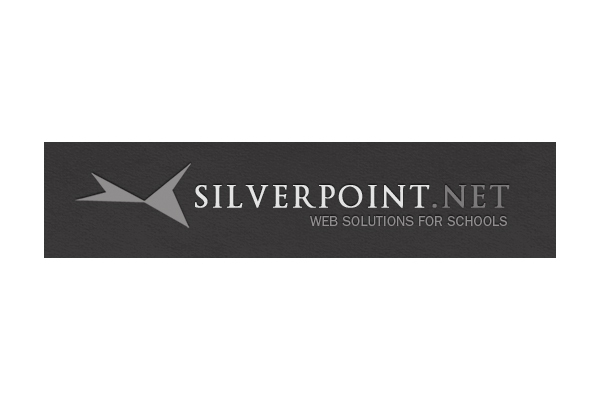 I worked for Silverpoint in 2007, a multi-city firm that creates web solutions for schools. Silverpoint’s strength and specialty was the ability to create customized solutions that meet the common needs of educational institutions while catering to the unique requirements of each school community. Project Management: For every project, Silverpoint applied a highly organized team model that included one project manager, one designer and several web producers. I served as both project manager and designer on the majority of my projects, which involved visiting schools around the country and developing strong working relationships with each client. Most projects lasted several months, so ongoing communication with the client was essential — especially since so much can change on the school end from week to week. On projects where I was solely the PM, I had the pleasure of working with other designers in my department, which was an opportunity to share resources and build community between coworkers who rarely got the chance to collaborate. UX and Web Design: Each project was team-based. For the Cincinnati Country Day School website redesign project, I served as co-project manager and main web designer for the new site. 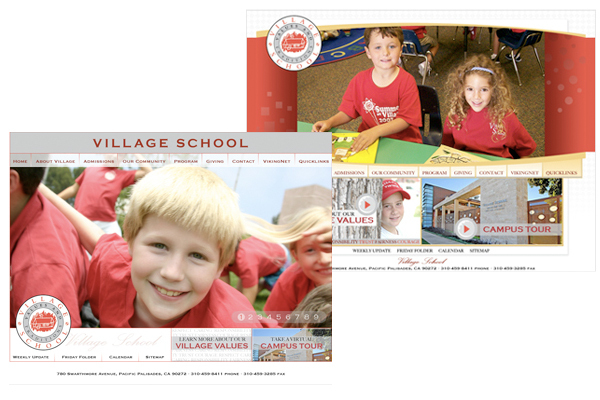 In addition to visiting the school and working closely with the client throughout the design process, I helped the production department code and flow the site. For the Village School project, designs were limited to a strict palette of red, white and neutrals that echoed the visual language of their California campus. 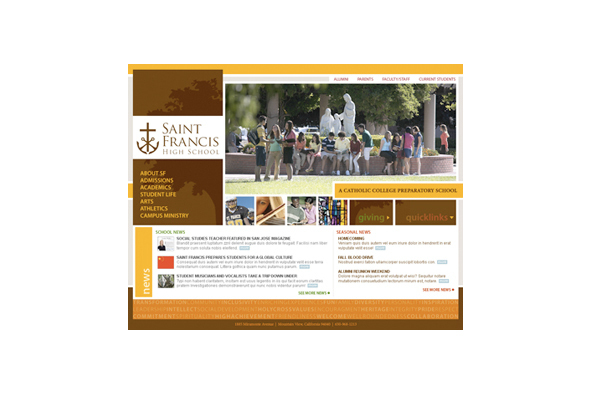 As lead designer for the Saint Francis High School website, I faced the challenge of translating the strongly colored yet minimalist visuals of their brand new print identity to the web and creating a sleek and functional onscreen interface. 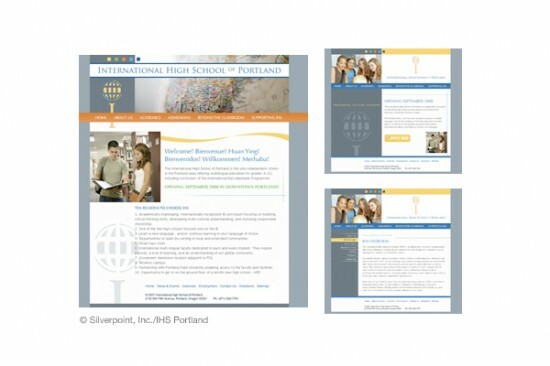 A rare exception to the team project model was the starter site for the International High School of Portland. The IHSP needed an extremely simple online presence to broadcast basic info about their new school. Wanting to save money for the development of a larger site down the line, they approached Silverpoint with a tight budget. I designed and presented a series of simple comps, then coded and produced the starter site myself. 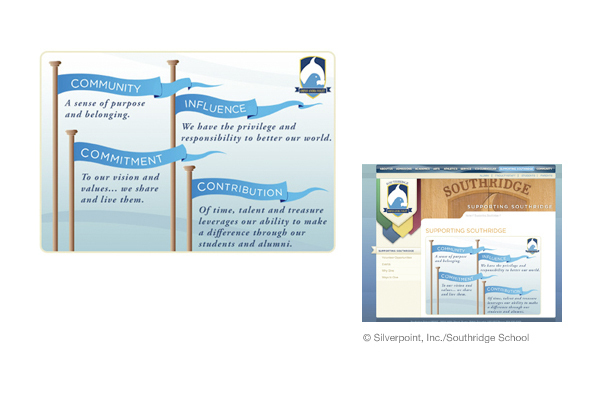 Graphic Design and Illustration: Though most schools had their own graphic designers and established collateral, the Silverpoint team was regularly called upon to create graphic elements like the illustrated values graphic for Southridge School. The graphic, shown alone and as it was used on the webpage, needed to work within the existing site design and broadcast the school’s core elements of support. Silverpoint designers would also occasionally help with branding or provide other design work. 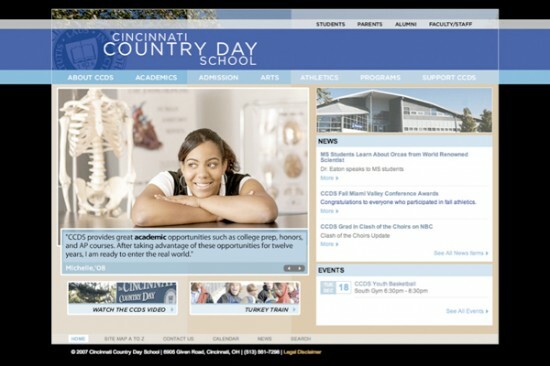 For example, while working on the redesign project for the Cincinnati Country Day School, I helped the school consolidate several iterations of the old CCDS mark by designing a newer, more modern logo that worked with the new site and the school’s redeveloped identity. Summary: I moved to Silverpoint from WireMedia, going from an agency that took on every variety of client and project under the sun to an agency that had a specific and dedicated focus. This was a fascinating migration, and I learned a lot. Silverpoint’s offices were in three different cities but functioned as one team, so in a way it was both a return to a traditional work environment and a continuation of life in a virtual office. Ultimately my Silverpoint experience reinforced the need for excellent communication skills, the importance of really listening to and hearing your clients, the industry need to stay current and competitive as far as changing trends and skillsets, and the benefit of a healthy office community.